Ok after finding some errors in my code(Missing ~~ after a question on the general exam and that I wrote the Regex without an ancor so it saw the question as an answer) I've completed the parser. I need to edit the code to make it easier to run yourself possibly code to python so I can cross compile it to a GUI. So it was easier than I thought to alter the parser for the General set after I had the Technician Class working. I will update the parser code soon on GitHub. Below are the flash cards for the General Exam. I haven't spent much time reviewing so send me a note if there is an error. If you downloaded this before please 2:30PM Nov 26 2014 please re-download there were some parsing errors. I'm working on writing a parser to parse the questions into flashcards, random printable quizzes and ittertave quizzes. The questions come from the TXT files from NCVEC. You will need the images separate from the cards. I started my IPv6 journey via Hurricane Electric's tunnelbroker.net service. It was an amazing journey they delegated me a /64 and /48 and provided instructions to get it setup on every operating system. Then the Chicago router filled and I didn't want to hop off my ISP's network to get to the tunnel so I started prodding my ISPs. Power went out in the neighborhood and I'm finally getting to use my generator for the first time this year. Its great seeing an investment put to use. This is perfect. Just what I need to help me with dimming my screen. F.lux Changes Your Screen Brightness by Time of Day [Downloads] - Windows/Mac/Linux: If you spend your entire day staring into the pit of an eye-burning LCD, free application F.lux may be right up your alley. This is very important for anyone using Facebook or has children using Facebook! 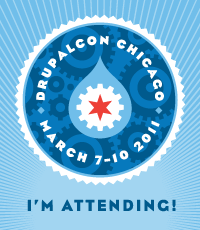 I have decided to switch my website to use drupal. I decided this so that I could use a very stable and well supported CMS to maintain my web site. Also I am starting to develop some drupal modules and this gives me a place to production test some of them.